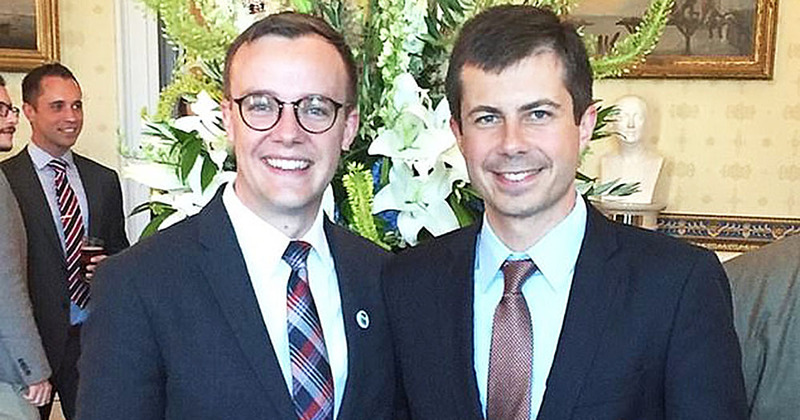 The mayor of South Bend, Indiana - a married gay man who has been active on LGBT+ rights - formally launched his bid for the Democratic candidacy on Sunday. Pete Buttigieg, mayor of South Bend, Indiana, has formally launched his bid for the American presidency – making him the first serious openly gay candidate for a major party in US history. Having formed an exploratory committee for his Presidential bid in January, he formally launched his campaign on Sunday April 14 at a ‘Pete for America’ rally in South Bend. Buttigieg put forward a liberal agenda, denouncing white nationalism and laying out plans for economic reforms designed to support smaller post-industrial cities. Buttigieg enters a crowded field of Presidential hopefuls, with over 15 Democratic candidates vying for the chance to contest the 2020 election. When he first announced his bid, he was polling at less than 1%. However, recent polls find him now in third place – behind Joe Biden and Bernie Sanders – in the crucial states of Iowa and New Hampshire. Annise Parker of Victory Fund, a political action committee that aims to increase the number of openly LGBT+ public officials in the US, spoke in support of Buttigieg at his campaign launch. “There is enormous power in an openly gay presidential candidate stumping at town halls in Iowa and speaking to Americans from the presidential debate stage,” she said. “It changes perceptions of our community and raises the bar for candidates who seek LGBTQ support.